Featured Furniture > Church Chairs & Seating > Church Chairs > New Church Chairs in Black Fabric for $29.95 Each – Only 130 Available! New Church Chairs in Black Fabric for $29.95 Each – Only 130 Available! Stackable Church Worship Chairs for $29.95 Each! 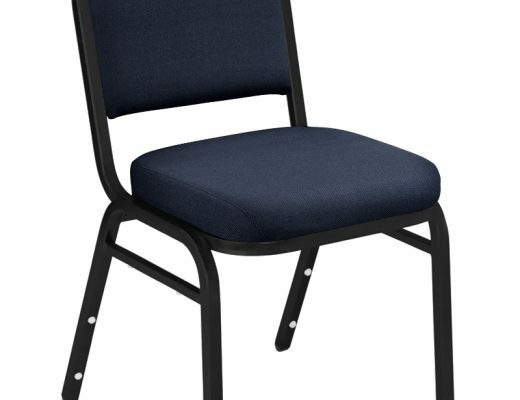 These worship chairs / multi-purpose chairs are a great option for a church looking to save dollars. We currently have 130 of this quality worship chair available in a black fabric that we are discounting for quick sale. 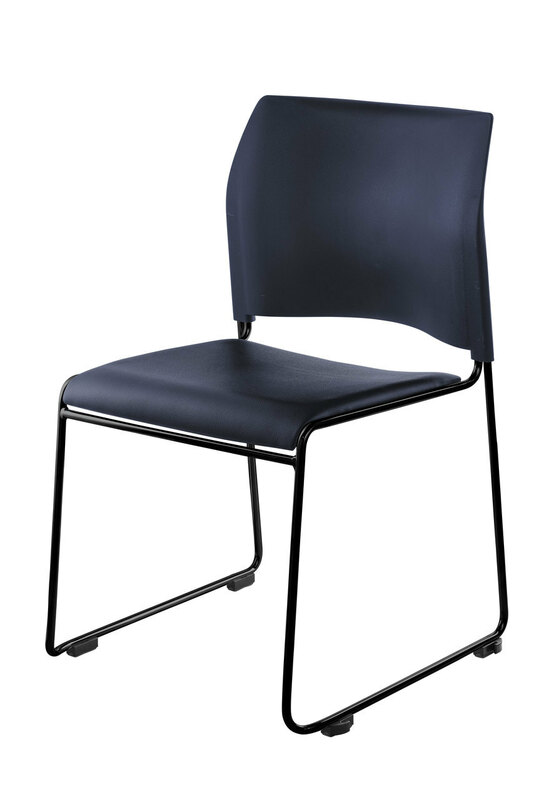 These 130 chairs are manufactured by CTS and feature both significant quality and fine comfort. A generous three inches of quality foam is part of each chair resulting in these chairs being a great option to replace your wood pews or perhaps serve as an upgrade for your current chairs. 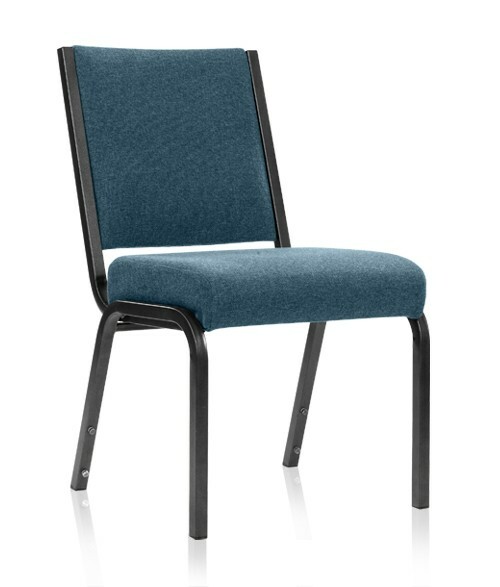 These church chairs are in mint condition – they are brand new, we are just offering this special on these black fabric chairs for one church to take advantage of! We do have other fabric choices available for a small up-charge. Remember, we only have 130 of these chairs available at this price – when they sell out they are GONE! This handsomely built worship chair is one of the best values on the church market today. Coming with standard features like lumbar support, inter-connecting ganging, a healthy 3″ foam seat and even a radius back, this church chair provides your people with a very comfortable seat. This chair also features “T-Nut” construction which eliminates premature stripping and loosening of the back versus wood screws, stacking ability, and a true warranty of 25 years on the frame. Its design width of 19″ also allows for good personal room. Constructed using durable T-nut and bolt assembly. No wood to strip! Chairs come standard with gang connectors allowing chairs to attach easily to each other! $29.95 EACH WHILE THESE CHAIRS LAST! Our Church Worship Chairs All Come Fully Assembled and Ready to Use. Don’t be surprised by church chairs that will need to be assembled before using. For more information or to order these NEW church chairs please call 419-469-6411 or you may use the form below to contact us. New Church Chairs in Gray Fabric for $29.90 Each – 400 Available!